Did you know that 55 percent of agents would consider switching brokerages, and that 9 out of 10 agents currently working in the industry have switched brokerages before? Those were two statistics that Adwerx CEO Jed Carlson threw down at CEO Connect, part of Inman Connect New York, this year. “All technology is recruiting technology,” Carlson opined. That could include the email marketing software you use, the email software itself — any tools you’re providing agents or using yourself. 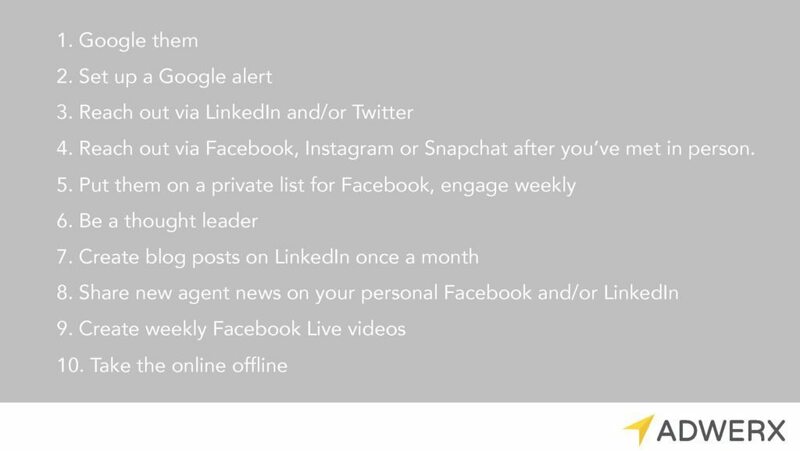 Here are the recruiting and retention tech tools he listed (that you might not think have anything to do with recruiting and retention). What’s the ideal portrait of your latest hire, given the position you have open, the level of qualification required and the diversity initiatives at your company? Textio lets you target the person who represents that portrait by assisting you with the word choice in your job description so you can better attract the talent you’re seeking. Despite the rapid changes in communicating via text — from telegraph to text message within a century — clear, powerful writing is still rare and potent. The Hemingway app promises to polish your copy until it reflects habits of the famous (and famously concise) writer. This tool (owned by LinkedIn) will deliver LinkedIn profiles directly to your email inbox — so relevant details about your correspondents are right there in plain sight instead of an entire Chrome tab away. You know how that joke you told your college roommate didn’t go over quite as well with your great-aunt? Crystal feels you; this tool uses DISC profiles to help coach you in your email communications so that you’re tailoring each missive to the recipient’s personality. This email tracking tool will give you insight into when emails are opened and links are clicked so you can visualize your lead (or hiring prospect) activity more easily, and perhaps better gauge interest. You’ll know which prospects are coming back to your recruiting landing page more than once. Candidates with recent brand exposure are a lot more likely to take an action you’d like to encourage — like visit your website or apply for a job. 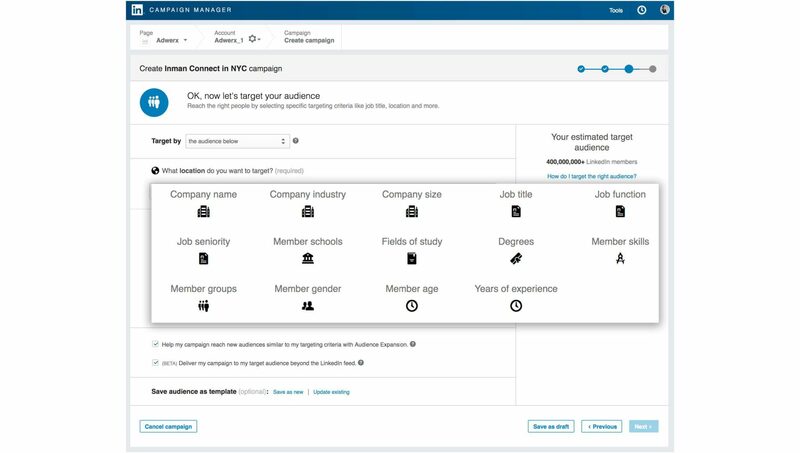 Carlson noted that LinkedIn ads have become more robust lately — you can send targeted InMail messages to specific prospects or blast ads to people who more loosely fit your criteria. And you can further target those ads by industry, job title and even company name and job function. Using social media ads — yes, even Facebook — to target millennial hires is a solid idea, said Carlson; 73 percent of millennials found their last job through social media. And they probably won’t reach out immediately; they’re more likely to do some research on the company, visit the website, update their LinkedIn profiles and try to connect with your current employees before they apply for the job. This might seem like a stretch as a recruiting tool, but if you can show agents what it’s like to work in your office — quite literally — then you’ll have a better chance of recruiting the kinds of agents who are seeking an office environment like yours. Where do most companies find their highest-quality employees? Referrals from existing employees, noted Carlson. Adding gamification to encourage your employees to submit referrals could be a way to generate more quality hiring leads, he said. This tool offers a recommendation engine and referral leaderboard so that employers can keep track of employees’ referrals. This employee referral tool integrates with email campaigns and other HR tracking platforms, and it will help you reward your top referrers. When you want to leave a voicemail without ringing the recipient’s phone even once, Slydial is the tool for you. (How many introverts just breathed a sigh of relief that such a thing exists?) This is a handy tool for reaching millennials especially. “Recruiting is about relationships, but the tools can help you scale those relationships and craft your message,” said Carlson.